So too, many of our clients are now discovering (or being reminded of) the impact of using a printed portfolio in addition to a digital one. 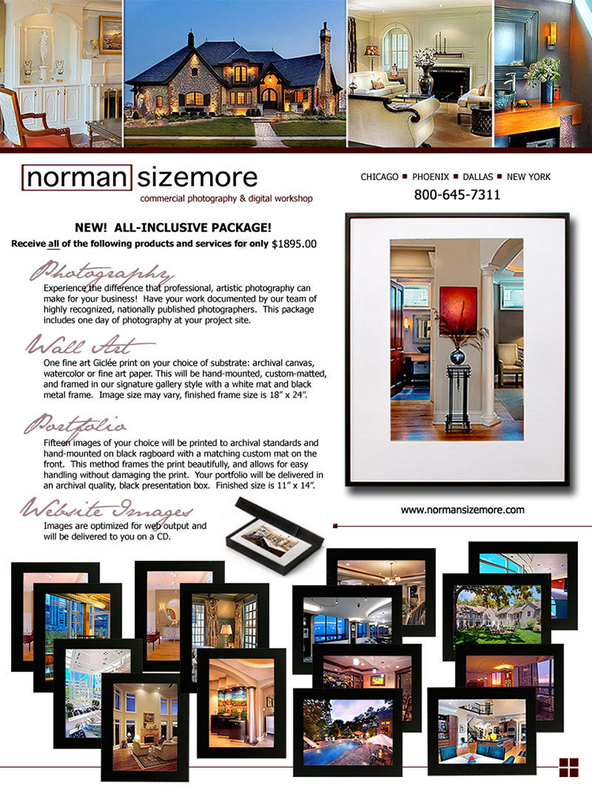 There is something truly special that happens when you open a portfolio box and hand a prospective client a hand-mounted, archival-quality print of your work. The impact of a tangible photograph is certainly more exciting than swiping the screen on a digital device, and the “wow factor” that is achieved is a huge benefit! There is also the advantage of being able to show more than one image at a time, laying them out in a stunning array and displaying a genuine storyboard of what you’re presenting to your client. While there is certainly still a place for digital concepts, photographs add another level of panache that is hard to rival. I think these are some of the reasons that we have been seeing more orders for printed portfolios and wall art than we have in over a decade. As a result of this renewed interest in printed media, we are doing something special and bringing back our all inclusive photography package for a limited time. It includes location photography, 15 hand-mounted prints and an 18x24 framed wall art. Contact me for details.